The year of the LEGO Rollercoaster seems to be continuing. We started with Joker’s Manor, the Creator Coaster and the much rumored Pirate Coaster and today we’re seeing the UniKitty themed Unikingdom Fairground Fun set. The set will be a Tesco Online exclusive in the UK for £40.00 with no word on the distribution model outside of that. It may well have been destined to be a Toys R Us exclusive before they went the way of the dinosaurs. 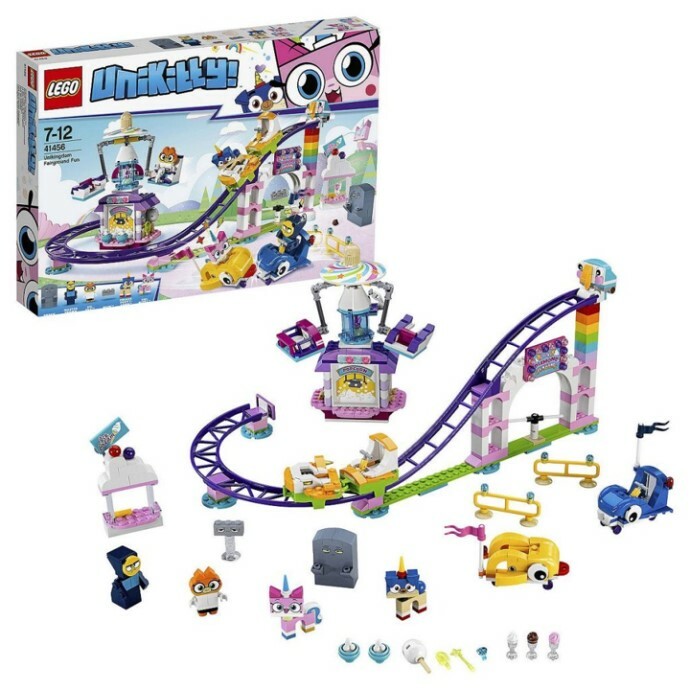 I’m not excited about UniKitty or this set, but you do get a bunch of purple track you could use with the Joker Manor or do something of your own. There’s a few other interesting parts and certainly parts here that aren’t available in these unique colors anywhere else.